Spray counter lightly with non-stick cooking spray. Roll each roll into an 8-inch circle. Cover with plastic wrap and let rest. Brown hamburger and drain. Combine hamburger, onion, garlic powder, pepper, ketchup, mustard and Worcestershire sauce. Simmer over low heat for 5 minutes and set aside. Remove wrap from dough and fry each flattened roll in a sprayed frying pan over medium heat about 2-3 minutes on each side. Blot on paper towels. 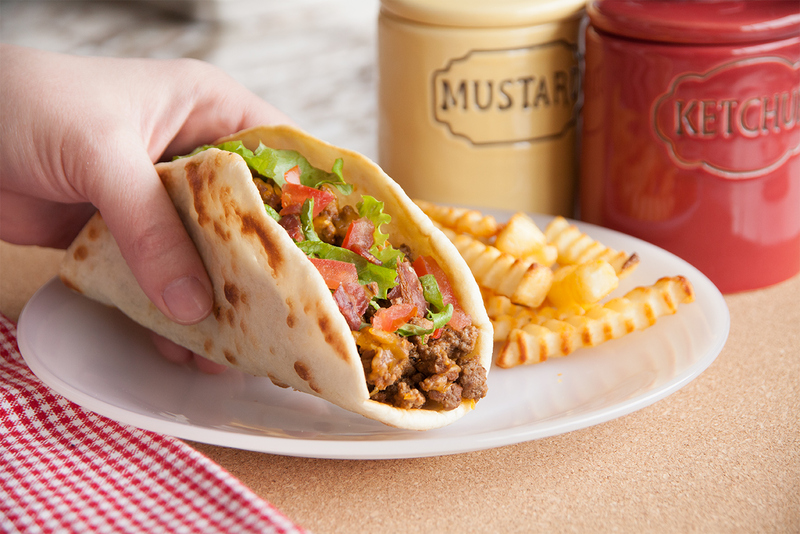 Fill each flat bread with hamburger mixture, lettuce, tomatoes, bacon and cheese.